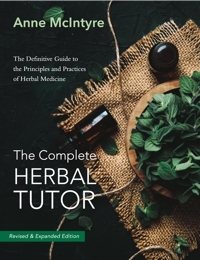 Anne McIntyre is a Fellow of the National Institute of Medical Herbalists, a Member of the Ayurvedic Professionals Association, and a Member of the College of Practitioners of Phytotherapy. She has been practising herbal medicine and Ayurveda for almost 40 years, and gives consultations from her practice in Gloucestershire. She gives evening talks and runs regular courses in herbal medicine and Ayurveda for both practitioners and lay people.